The Next ‘Five Nights at Freddy’s’ Will be…a Novel Called ‘Five Nights at Freddy’s: The Silver Eyes’? Well, I didn’t see this one coming, but maybe I should have. Scott Cawthon, the creator of the phenomenon that is Five Nights at Freddy’s ($2.99) and its sequels, has been laying low in recent months. After the release of the FNAF World Teaser trailer in late October, Cawthon has been relatively silent until a few days ago. After first posting a teaser on his page, as is his habit, he went on to explain to his many fans that for the last ten months, he’s been crafting a novel alongside a professional writer. 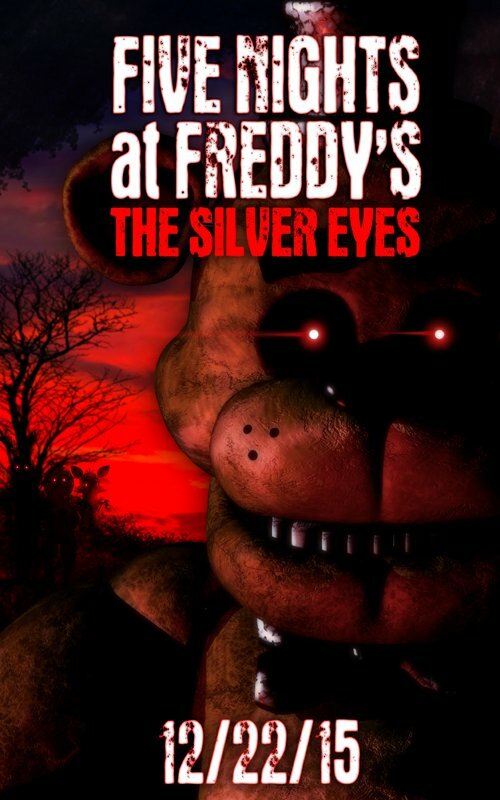 The novel, Five Nights at Freedy’s: The Silver Eyes, “expands the mythos and reveals a human element never before seen in the games" according to Cawthon, which sounds promising. The novel will first come out on the Amazon Kindle and then in stores in hardback in 2016. If you don’t have a Kindle, you can read the novel on your computer or mobile device through the Amazon Kindle App. As you can guess, reddit has gone into slight overdrive trying to figure out where the novel’s plot will fit in the FNAF mythos. What’s even more interesting is whether this novel (and the fact that he’s been working on it for many months) proves that all those tidbits of a story that fans found in the games weren’t simply figments of their own over-active imaginations but, rather, intentionally placed there by Cawthon. Are you excited about FNAF: The Silver Eyes?